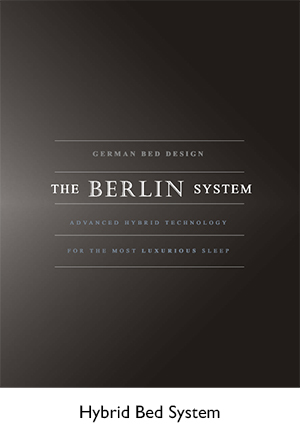 The Most Comfortable Adjustable Beds from Germany with custom sizes for European Sizes and RVs. Our adjustable pods are uniquely designed to alleviate pain and provide superior comfort by offering multiple support technologies and 4 to 8 motor systems. They can be dropped on Platform Beds where there is an existing flat wooden base. All the motors are integrated into the sides of the adjustable frame so the adjustable frame can rest directly on the Platform Bed wooden base. 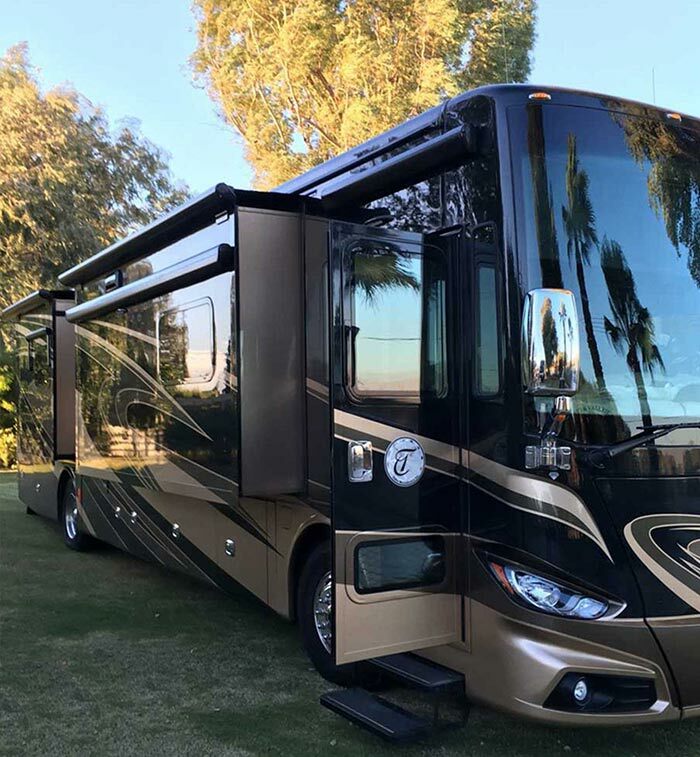 They can also be used for RVs. Click on the images below to learn more about our bed frames and our RV installations. 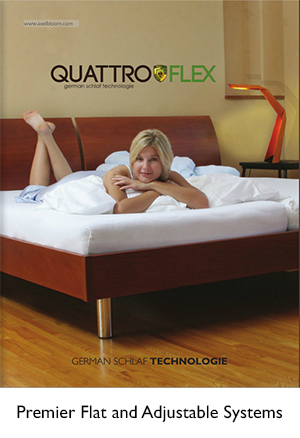 The Doppelflex and Quattroflex Systems use two motors to adjust the head, shoulder and leg regions. Each adjustable suspension can be made firmer or softer in the lumbar region so each person can "tune" the adjustable system for their own personal preference even if the mattress is the same for two sections. The Überflex System is the most advanced and versatile system. Each adjustable section has 2, 3, and 4-motor options coupled with a suspension system that can be customized for each region of the body and body type. Überflex MX2 is the Most Advanced Pod Suspension. The “4-Wheel Drive” Adjustable System. The Überflex MX3 is the most Advanced Hybrid Suspension with slats and pods. The Austroflex System has three-motors, the third motor and suspension is optimized for neck and shoulder comfort. The CareDesign System can be added to any Axel Bloom adjustable system to vertically raise the bed. It has a dedicated motor and control system and is ideal for home dependent users who wish to also have vertical height adjustment to ease access onto and off the bed and change clothes. **PLEASE NOTE (except CareDesign): Available in King and Queen sizes as TWO SEPARATE adjustable suspensions so each half suspension functions independently from the other half. ALSO available so the two half suspensions work in sync as one King or Queen.